The WA Government through Lotterywest has approved a grant of $200,000 a year for the next three years to provide financial support to community playgroups. Today, the Hon. Simone McGurk, Minister for Child Protection; Women’s Interests; Prevention of Family and Domestic Violence; Community Services, visited Inglewood Playgroup to officially present the Lotterywest grant to Playgroup WA. Community Services Minister, Simone McGurk said “Playgroups form an important part of early childhood development, they’re a community resource that offers support and connection for parents. This funding will provide much needed financial support to playgroups across WA to foster and nurture children in the critical years of their life”. Under the new grant, individual community playgroups will be able to apply for financial support of between $500 – $15,000 directly through Playgroup WA, to fund the purchase of toys, education resources and other equipment. Funds are available to any community playgroup that meets the eligibility criteria, they do not need to be a Playgroup WA member to apply. “Community playgroups are funded and operated by parents and carers themselves. They volunteer their time because they value the social and developmental benefits that come from attending playgroup. Having the opportunity to purchase good quality toys and equipment has the potential to help these groups expand their sessions to include more families, and provide a welcoming and safe play environment for their members.“ said David. 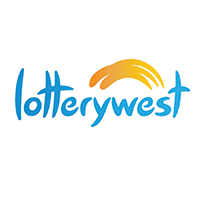 “We are grateful for the support provided by Lotterywest and recognise the valued contribution of Lotterywest retailers and those who play Lotterywest games in making grants like this happen. As a result, we expect we will see many more playgroups benefiting from new toys and equipment over the next three years.” David said. Playgroup WA is the State’s largest membership organisation of families with young children and playgroup attendance is directly linked to improved school readiness, physical health and emotional wellbeing in childhood and beyond. For more information: Contact Nichola Strasser, Playgroup WA Marketing Manager on 08 9228 8088.